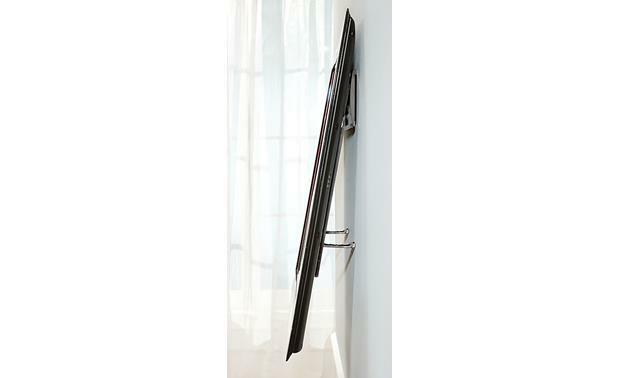 Super-slim low-profile fixed wall mount for flat-panel TVs 32"-50"
Sanus: ML11-B1 Super-Slim Mount for TV's 26"-46"
The ultra-thin Sanus ML11 holds your flat-panel LCD or plasma TV a scant 9/16" from the wall — just about as close as you can get. 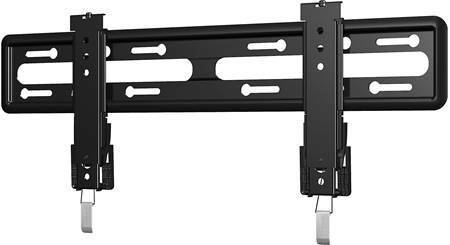 It's the ideal wall-mount for many of the latest ultra-thin TVs. 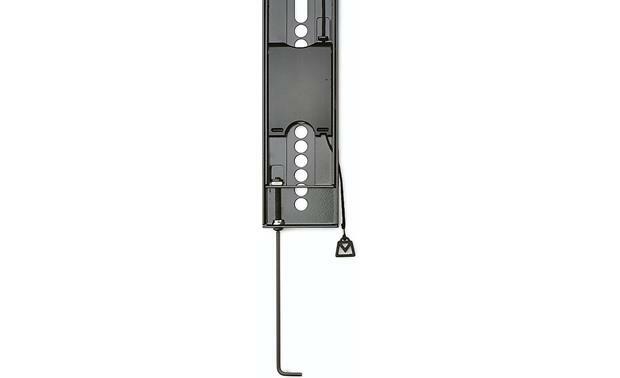 Yet this durable heavy-gauge design is strong enough to keep your TV firmly in place. The ML11-B1 can support a TV with a screen size of up to 50", and a weight of up to 100 lbs. The mount's brackets can easily be shifted to the right or left, in case the wall studs are a little off-center. You can also make small adjustments after the mount is affixed to the wall to level it, or even change the height. 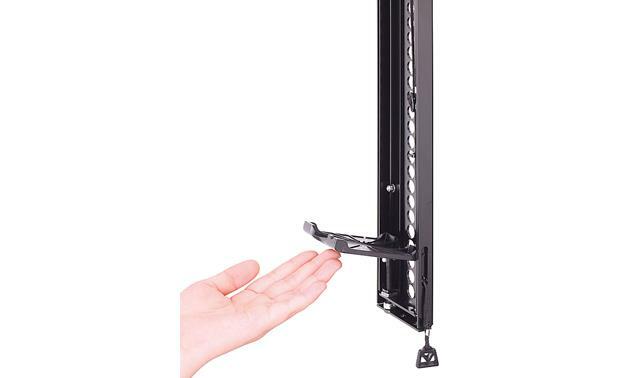 And the handy ClickStand at the bottom of each vertical brace swings out to prop your mounted TV away from the wall, to make cable hookup a breeze — without removing the TV from the mount. fits most flat-panel plasma and LCD TVs from 32"-50"
Meets our needs perfectly. Only problem we had with it was the need to shave off some of the plastic sleeve to allow the screws to engage. Lg oled55b6p- Is this mount compatible? Thanks! Overview: The Sanus VisionMount ML11-B1 Super Slim Low-Profile Wall Mount's innovative design emphasizes the sleek look of your ultra-thin LCD, plasma, or LED TVs by placing them just 0.55" from the wall. The Sanus ML11-B1 offers exclusive features that make it incredibly easy to install and use. ClickStand technology holds the bottom of the TV away from the wall for easy cable access without removing the TV from the mount. Convenient quick-release tabs on both mounting brackets stay hidden, but easily pull down to unlock the TV from the wall plate for cable access. The ProSet feature allows post-installation height and leveling micro-adjustments for perfect positioning after hanging. Lateral shift allows the TV to move left and right on the wall plate so it is placed exactly where you want it, even with off-center studs. 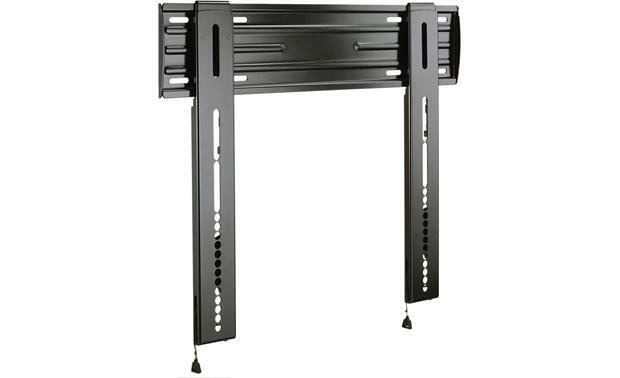 Compatibility: The ML11-B1 universal wall-mount bracket is designed to fit flat-panel plasma and LCD monitors from 32" to 50". The TV can have a maximum weight of 100 pounds. Construction: The wall-mount bracket is made from solid heavy-gauge steel, with a durable powder coated black finish. 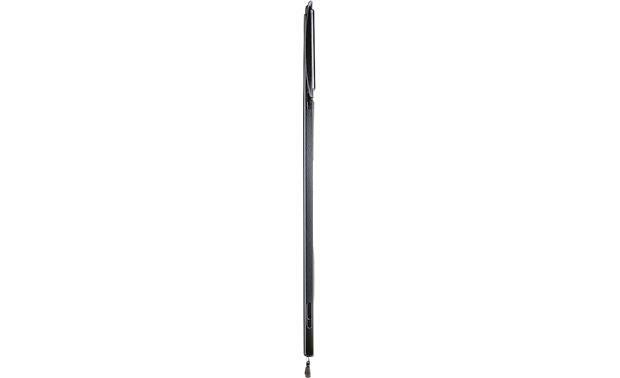 ProSet: ProSet post-installation height and leveling adjustments allow TV to be perfectly positioned after hanging. Once installed, your TV or wall-mounted furniture may not appear completely level with its surroundings. ProSet technology lets you make micro-adjustments to height and level after mounting to ensure perfect positioning. 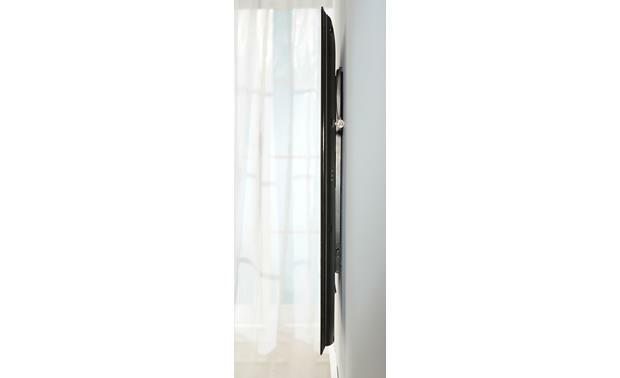 ClickStand: The ML11-B1's ClickStand feature allows you to tilt the bottom of the TV outward (10-degrees/3.125-inches) and hold it there, giving you easy access to the back panel for connecting cables. Once all the cables have been plugged in, you can release the ClickStand and securely lock the TV into position on the wall plate. Mounting: The wall plate must be mounted to wall studs or anchored to a brick, block, or concrete wall using the supplied lag bolts. The slots in the wall plate can accommodate a variety of stud spacing, allowing you to easily mount the TV to wall studs that are 16" or 24" on center. Once the wall plate is anchored to the wall studs and the monitor brackets (with the TV attached) are hooked onto the wall plate, the TV can slide left or right, allowing you to center the TV on the wall. 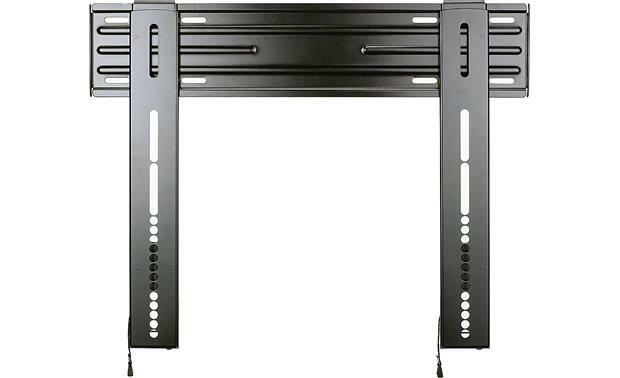 Note: Each monitor bracket has multiple bolt holes and can accommodate vertical hole spacing (on the back of the TV) from 3-15/16" (100mm) to 15-3/4" (400mm). Since the monitor brackets can slide on the wall plate, the horizontal hole spacing on the back of the TV can range from 2-9/16" (65mm) to 20" (508mm). Steel Stud Mounting: If you wish to mount this Sanus wall mount in a building with steel stud walls, you will need the Sanus SSMK1 Steel Stud Mounting Kit. Steel stud walls are typically found in commercial applications, such as office buildings, warehouses, and condominiums. 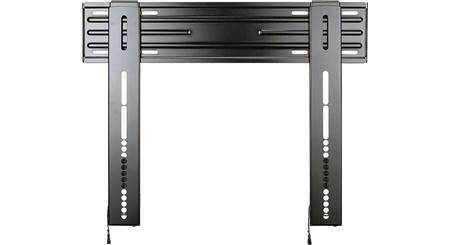 Wall Plate Dimensions: W= 22.75", H = 4.875", D = 0.5625"
Monitor Bracket Dimensions: W = 2.5625", H = 18.1875", D = 0.5625"
Searches related to the Sanus ML11 Super-slim low-profile fixed wall mount for flat-panel TVs 32"-50".